NOPNOG is an American famous brand focusing on providing good products and services. This mini projector is more convenient, stylish and smarter than the traditional. Here are the brief introduction of the mini projector. We have one year warranty. If you have any questions, please do not hesitate to contact us. < 45° off-axis accurate imaging. This pico projector supports to be directly placed on the desktop. You don't need to waste time looking for the right angle and a way to hang it. < Additional tripod supports to adjust the height of the pico mini projector and it will meet the needs of different scenes. < Bluetooth support, dual WiFi, HDMI and so on. Compatible with a variety of devices. Throw Range is 30-120 inches, very convenient for entertainment or business report. < The pico projector uses DLP projection technology. Clear imaging, smooth screen, protect the eyes. 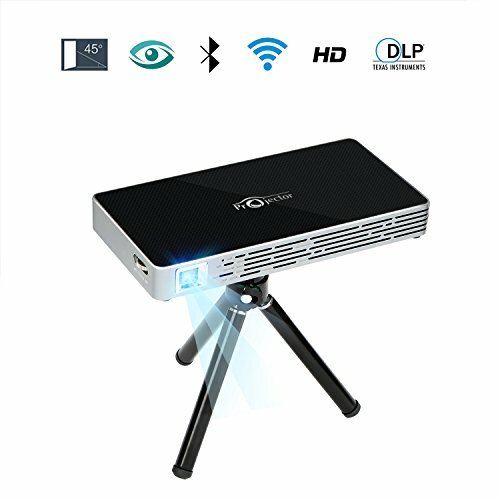 This mini portable projector is the first choice for home theater. If you have any questions about this product by NOPNOG, contact us by completing and submitting the form below. If you are looking for a specif part number, please include it with your message.